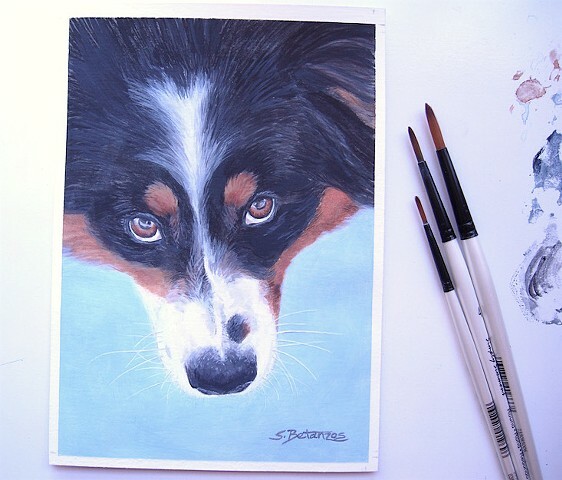 Australian Shepherd miniature painting done in acrylics on archival watercolor paper. A painting demonstration of one of my favorite mediums and substrates - paper! Carson watercolor paper is often my paper of choice.